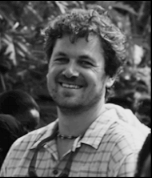 Campbell Mayer is a housing and urban planning practitioner currently working in emerging markets across Sub-Saharan Africa. He co-founded and is the director of Africa Home Builders (AHB), a social housing and building technology company working to end affordable housing deficits and repair local real estate markets in Africa. AHB is a catalyst for development partnerships that unite offshore investment capital and building technology with incentivized local partnerships to mitigate risk and deliver successful projects that address national development goals. Campbell earned his Masters from MIT (’11) as a Fellow in the Legatum Center for Development & Entrepreneurship. During this time, he co-founded MIT CREATE and developed the program’s field site engagement collaborations in South Africa. He also works with the MIT Special Interest Group in Urban Settlement (SIGUS) to implement solutions for incremental and emergency housing challenges for the developing world. Campbell continues to guest lecture on social housing issues at MIT and other institutions. Campbell started in commercial architecture and project management based in Colorado where he designed and developed custom buildings and masterplan projects across the US Intermountain West. During this time, issues of informal economics, equitable urban growth and economic self-sufficiency became his primary focus and led him to Central America to develop low-cost housing in Honduras and appropriate technology installations in Nicaragua as an NGO consultant. In 2005, Campbell was hired by a women’s empowerment and fair-trade NGO to formulate and deliver a permanent housing solution for IDP families in Kampala, Uganda. After 4 years, a new multi-tribal village housing model resulted where informal and displaced people earned a house and property rights by fully repaying an innovative mortgage program within a 2-year period. Challenges in upscaling this NGO housing model led Campbell to MIT where he co-founded his company AHB to leverage market-based tools for greater efficiency in addressing the compounding housing crisis facing urban Africa. In addition to social housing, Campbell is working in Ghana to develop Africa’s first mixed-use business innovation enclave managed as a planning overlay district in partnership with the Accra Metro Assembly to foster synergies among formal and informal entrepreneurial ventures. Campbell holds a Master in City Planning from the Massachusetts Institute of Technology School of Architecture (MCP ’11), studying in the International Development Group of the Dept. of Urban Studies and Planning. He holds a Bachelor of Arts from the University of Oregon School of Architecture (BA ’98), studying in the Dept. of Planning, Public Policy & Management. Campbell earned certification from the American Institute of Certified Planners (AICP) in 2001.